Midnight Rambler. Photo Courtesy of The Joule Hotel. THE URBAN RENEWAL that's reshaped Downtown Dallas in the past five, ten and even twenty years has been transformative for the city. Spurring a large part of the most recent growth is a significant uptick in people calling Downtown home, from a low of 200 residents only two decades ago, to now nearly 12,000 in the Downtown core and more than 70,000 in the connected neighborhoods. With this residential rebirth comes more green space and services, a thriving dining scene and inspiring retail. Even as the youngest working generation flocks to live Downtown, it's still the largest employment hub in North Texas. According to Downtown Dallas, Inc., an organization serving as the principal advocate, champion and steward of Downtown, the transformation of commercial real estate has been instrumental in the neighborhood's rebirth. "Developers took old buildings and gave them new life, turning what was once vacant office space into residential. It's added this thriving element of downtown living into the picture, which is something Downtown Dallas - even in its heyday - never really had," said Kourtny Garrett, President and CEO of Downtown Dallas, Inc. This development does double duty, also making Downtown a bustling travel hub. "In the past fifteen years we've seen $6 billion worth of investment poured into Downtown, so it's not by happen- stance or accident that this amazing growth has occurred. It's been very deliberate," Garrett said. In the last twelve months alone, five major new hotels and more than thirty new restaurants have opened in the heart of the city. In October 2017, one of the most iconic hotels of the 1960s was reborn in a blaze of style and publicity. The Statler, beloved by celebrities from Elvis to Coco Chanel, was back. The phoenix-like return of the Statler after so long was no isolated incident, either. Downtown Dallas has been rising from the allegorical embers at an astonishing rate. There were forty signature office towers sitting empty twenty years ago; now they're all full or undergoing massive redevelopment. Add to that AT&T's ambitious new Discovery District - a four-block cam- pus off Commerce Street complete with restaurants, performance spaces and a Times Square-style video wall - and you have a downtown area moving in the right direction, and fast. "This revitalization began in the late nineties, so we're almost twenty years in, but by no means does that mean we're done or that we're slowing down," Garrett said. "It's a multitude of the big and the small that will make the next ten years just as transformational, if not more, than what we've seen so far." The "big" includes the addition of highspeed rail, expanded public transportation, new parks and entirely new Downtown districts, like the East Quarter and AT&T Discovery District. And it's the "small" - restaurants and bars, the makers and creators - who are shaping Downtown into an authentic neighborhood with its own culture and flavor. With more big plans afoot, here are twelve stylish standard-bearers making a big stir at the heart of the Big D.
Photo Courtesy of The Statler. 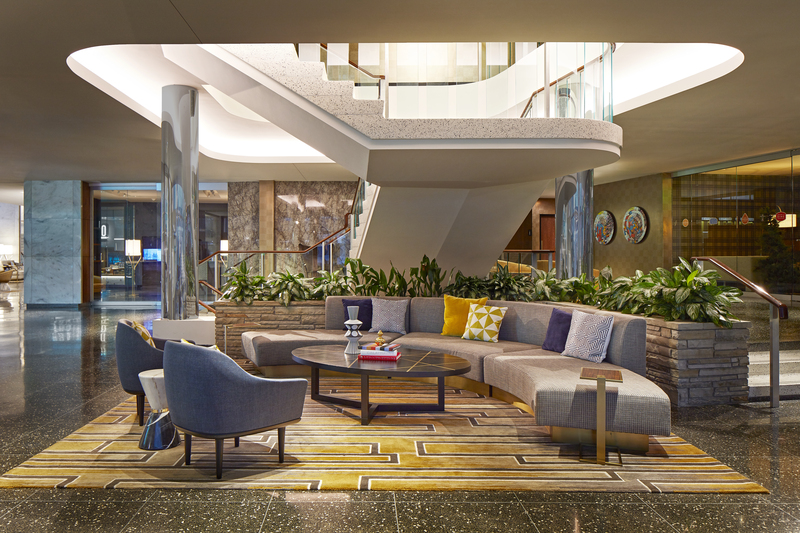 The current pinup for Dallas' resurgent Downtown area, the mid-century Statler was nearly demolished multiple times before being lovingly redesigned and reopened as a sleek, well-heeled destination property. The Statler 2.0 includes upscale, street-facing restaurants Fine China and Over Easy, as well as Waterproof - a swanky rooftop bar and pool. But the spot that's got Dallas - ites most excited is Bourbon & Banter, a basement speakeasy (accessed via a fake telephone booth) that prides itself on having the best bourbon collection in town and an extraordinary cocktail list to go with it, including the Pompadour - served with a blow-torched brûlée top to be smashed before drinking. 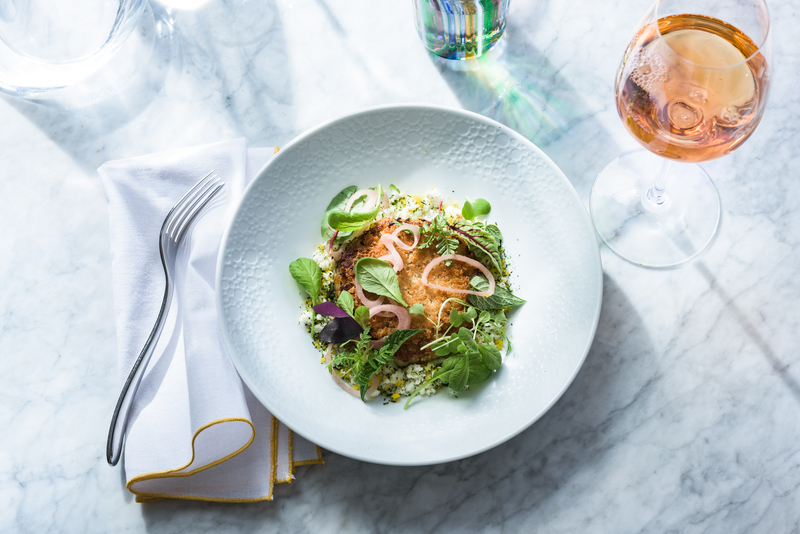 "Entering Bullion is like ascending into an alien spaceship from a luxury galaxy," wrote the Dallas Observer when the dazzling high-end French restaurant landed Downtown in March 2018. The gilded eaterie is the brainchild of Michelin-starred chef Bruno Davaillon, who's assembled his own crew (from his native France and beyond) to perfect his vision of bistronomie - a minimalist, back-to-basics marriage of haute cuisine and farm-to-table cooking. (Picture venison served with chestnuts, poached pear and swiss chard.) The restaurant's exterior is as unforgettable as its menu - from the outside it resembles a gold bar wedged into the side of a skyscraper. Photo Courtesy of The Adolphus. Until recently a vacant building, Commissary is now one of Downtown's most popular daytime haunts. Best described as a European-style market, it's part-bakery, part-gelateria, part-butcher, part-espresso bar, and plenty more besides. Perched at the corner of Main and Field streets and wrapped in a splashy blue tile mosaic created by revered Cuban artist Jorge Pardo, it's a lively addition to the neighborhood and already making a name for itself as a destination spot for a morning latte, lunch on-the-go, or leisurely dinner. Photo Courtesy of Forty Five Ten. This luxury five-floor boutique on Main Street has been described as a major flag in the ground, affirming Dallas' fashion credentials. That's an understatement of epic proportions. Forty Five Ten has proved so popular that a spin-off store is slated to open in New York this spring. 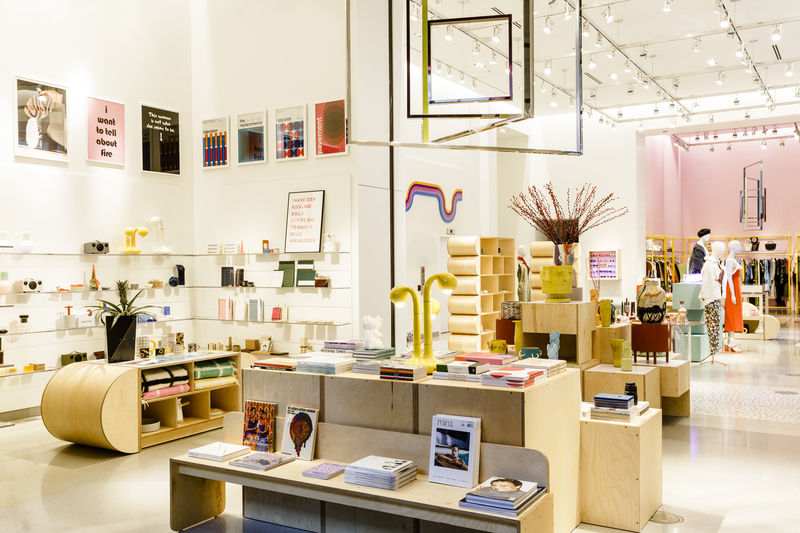 The secret of its success is a world-class mix of high-end collections for women, men and the home (think Prada, Celine, Dries Van Noten, Balenciaga, Rosie Assoulin and many more), impeccably curated in glimmering surrounds. This is fairy-tale shopping at its finest - and the fashion lovers of Dallas can't get enough of it. A playful interpretation of a late-nineteenth- century Dallas dining saloon, newcomer Billy Can Can is a modish blend of the chic and the tongue-in-cheek. Obsessively populated with items that are either handmade or hand- chosen from local antique stores - from grainy Victorian photographs and vintage signs to Texan taxidermy - it's all tied together in a rustic-luxe swirl of mahogany, leather and perfect pools of private light. The food here is insanely good, too: venison tartare, roasted Gulf snapper and hot-chicken-style fried quail are all on the menu, along with a giant tomahawk steak, meant for two and served with roasted bone marrow. Photo Courtesy of Deep Ellum Denim. 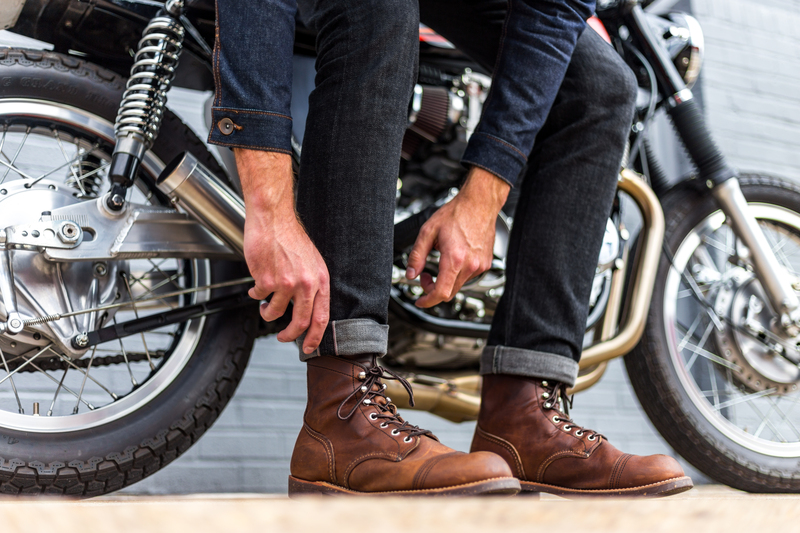 Business partners Jeff Kaufman and Bennie Reed had one plan when they opened Deep Ellum Denim: to find the best denim brands on the planet and bring them to Dallas. Located a short walk from The Statler on the eastern side of Downtown, their studio showcases hundreds of pairs of jeans of the highest quality. Their focus is on quality raw selvedge denim, stocking labels that will have connoisseurs salivating - including Tellason, Naked and Famous, Japan Blue and Momotaro. It might be considered a little presumptive to name a bar after a Rolling Stones song, but one gets the impression that Mick Jagger would wholeheartedly approve of Midnight Rambler. Nestled in the basement of the wonderful Joule Hotel on Main Street, it's a speakeasy inspired by the dark glamour of old school rock and roll - from its décor to its drinks menu. Open until 2 a.m. every night, it's a favorite of the see-and-be-seen crowd. Frequent cameos by famous faces are a testament to the coolest crowd and some of the craftiest cocktails in town. Photo Courtesy of Unruh Furniture. Launched in Dallas last year, Unruh (pronounced "un-roo") sells beautiful, hand - crafted furniture to order. 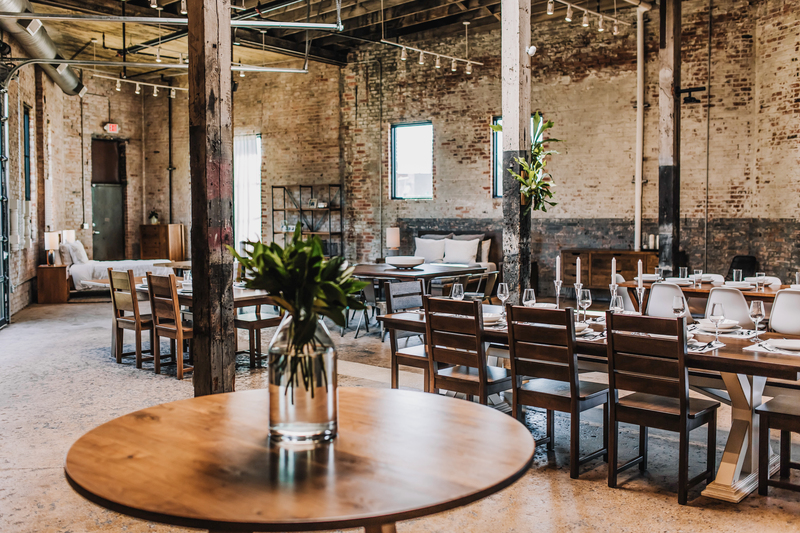 Based out of the airy, brick-lined Brake & Clutch Warehouse, their carpenters walk you through every step of the furniture-making process in person - from the best types of wood and finishes for you, to the specific dimensions of your home. They'll then build your furniture for you from scratch - and personally deliver it with a lifetime guarantee. Not bad for a business which started as a hobby in a garage! It might seem odd to include a grocery store here, but Royal Blue is not your run- of-the-mill retail experience. Instead, the establishment is more of a modern, urban twist on the traditional Spanish bodega: a local vendor selling fresh, fast-casual dining options and home essentials. The difference here is that Royal Blue is catering directly to the young professionals of Downtown Dallas, with a mission statement to stock exactly what they need, where they need it, and when they need it. It's been nicknamed the "hipster grocery store," and with stores in Austin, and a new store coming to San Antonio, it seems to be right on trend. Mirador is Spanish for a turret or tower, providing the best possible vantage point over its surrounds. This insanely good restaurant - located in a rooftop penthouse on Main Street - fits that moniker perfectly. But even the stunning views of Dallas' famous skyline (via Mirador's eleven-foot floor-to- ceiling windows) will be forgotten once your food arrives: light, intelligent twists on traditional dishes, served up like miniature works of art - in a futuristic space with a chic, distinctly European vibe. If the sun's shining, Mirador (in particular its wrap- around terrace) is pretty much unbeatable as a lunch spot. Crowned as the best new bar in Dallas when it opened, HIDE is the place to seek out if you're into scientific cocktails and a lively, eclectic crowd. The drinks are mixed via all manner of fiendish devices, with bartenders deploying everything from centrifuges and lasers to roto-vaporizers in order to purify and intensify the flavors. Unlike most bars, HIDE is also sitting in plain sight, with floor-to-ceiling windows on Elm Street. A combination of all these factors - not to mention the behind-the-bar herb garden and excellent bar snack menu (try the crispy ahi poke tacos) - make this the perfect place for after-work sundowners.